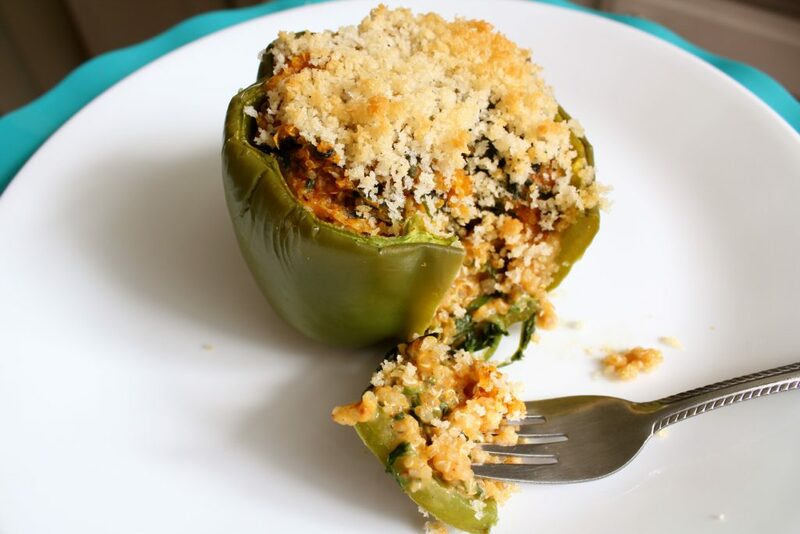 Check of the Vegan and Gluten Free version of these Cheesy Pumpkin Quinoa Stuffed Peppers here! 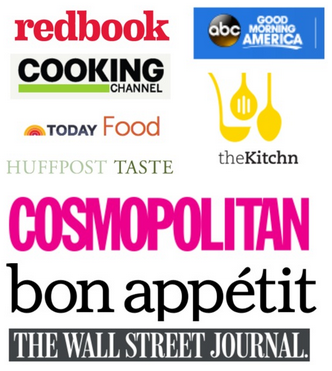 This recipe is almost an almost embarrassing array of trendy blogger foods. Pumpkin (Pin! Pin!) Quinoa (Tweet! Tweet!) I was this close to adding kale in the mix (Like! Like! Like!) but I saved myself at the last second by using spinach. I mean all this recipe is lacking is some Funfetti cake mix and my SEO optimization would FREAK OUT! It’s like the perfect recipe. 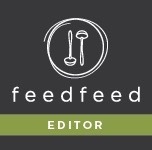 The holy grail of the food blog world. That said, these peppers are freaking amazing. The harvest festival of Sukkot is this week, so we stuff our faces with seasonal fruits, vegetables, soups and stews like in my Pumpkin Kale Stew. And speaking of stuffed, we also eat stuffed foods like my favorite Stuffed Cabbage for a bountiful harvest. 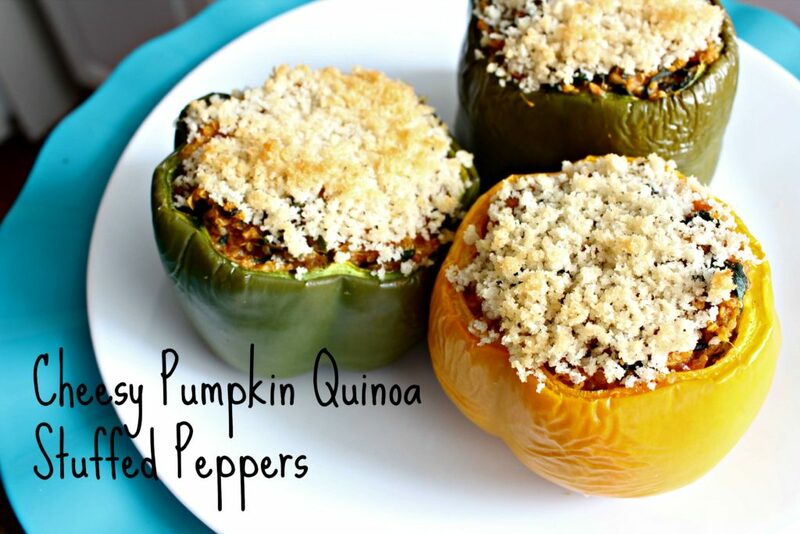 I decided to combine the two into this mega Sukkot recipe- Pumpkin Quinoa Stuffed Peppers! With cheese. Lots of cheese. Mmm cheese. And speaking of awesome things, Nektar, the honey crystals I used for this cocktail is now available at some Whole Foods. 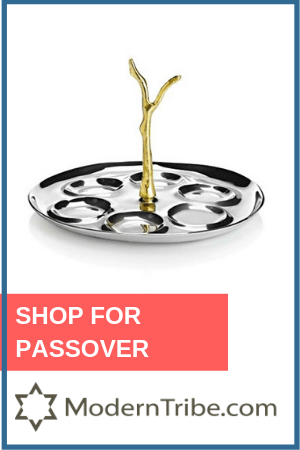 Mazel!! 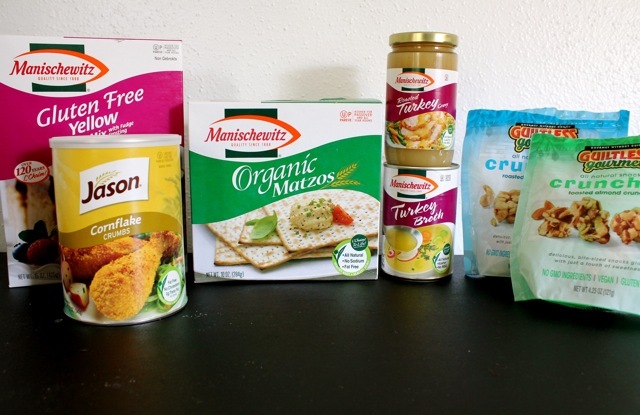 And don’t forget to enter to win all these new Manischewitz goodies!! Anyways, here is all Jew need. 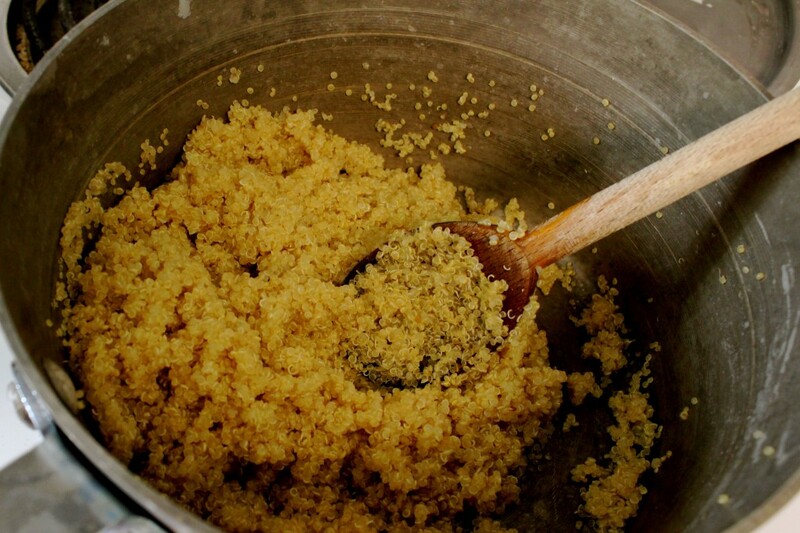 First up, cook your quinoa. While your quinoa is cooking, prep your veggies. 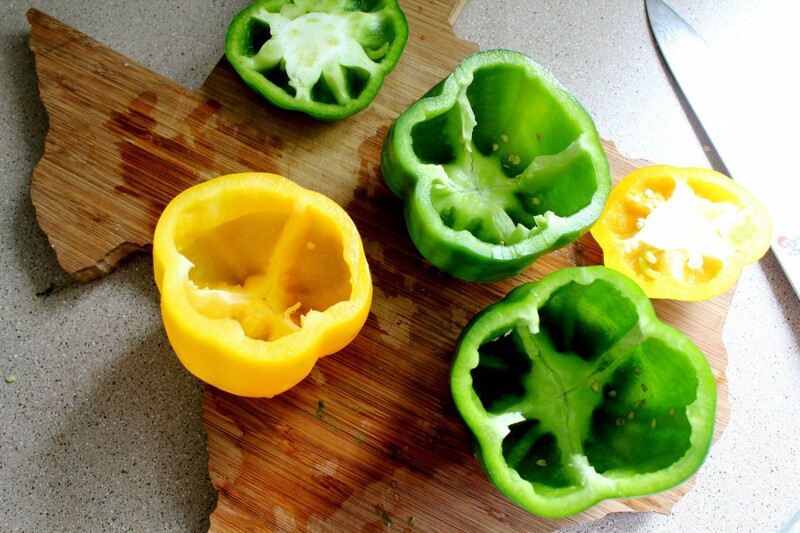 Wash your peppers, cut the tops off and clean out any pepper gunk on the inside. 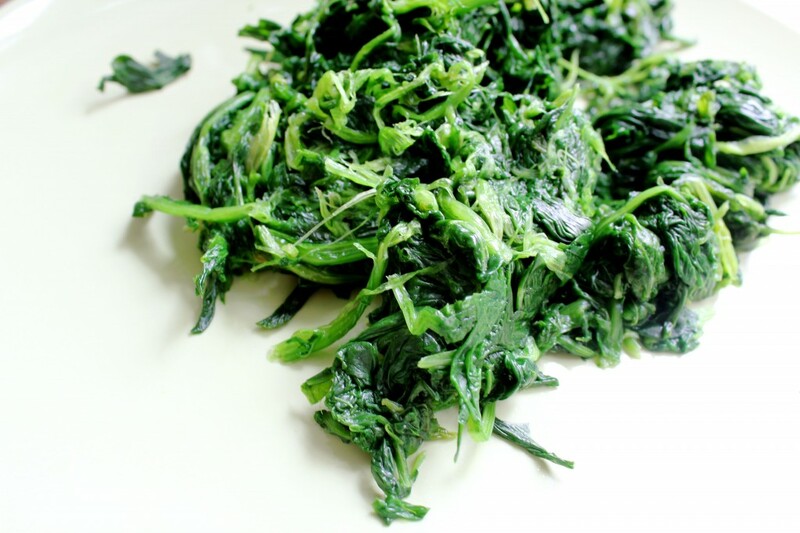 Defrost your spinach and squeeze out all the water. Then heat up two tablespoons grapeseed oil (or substitute most other oils). 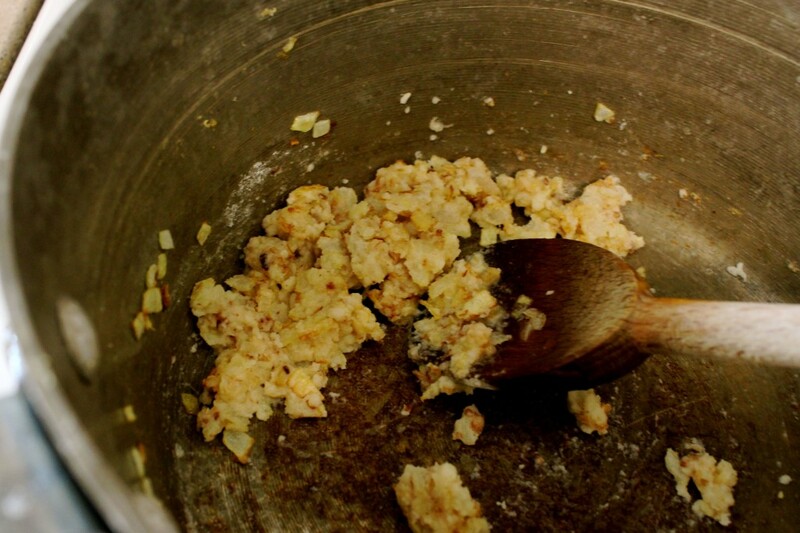 Saute onions over medium heat until they start to brown and then add in garlic for a second. Then add in enough flour to make a roux- about 2 tablespoons. Look at you making a roux! 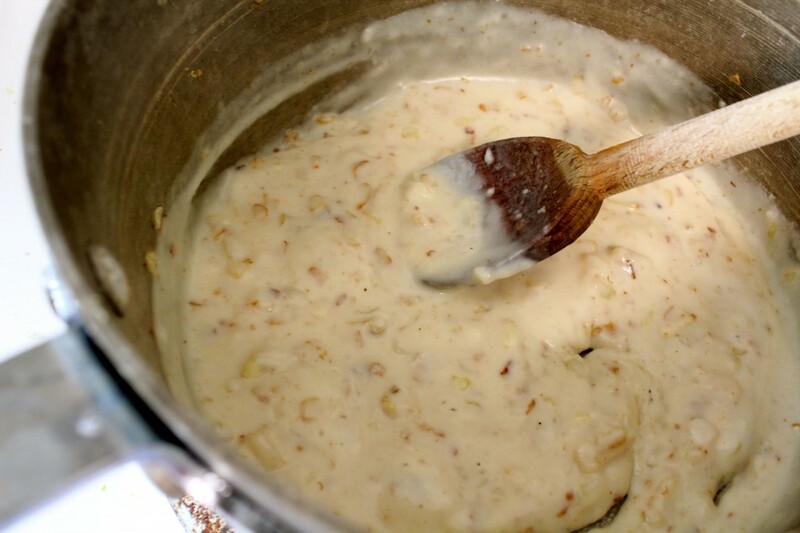 Then add in milk and cook for a few minutes until you have a thick sauce. 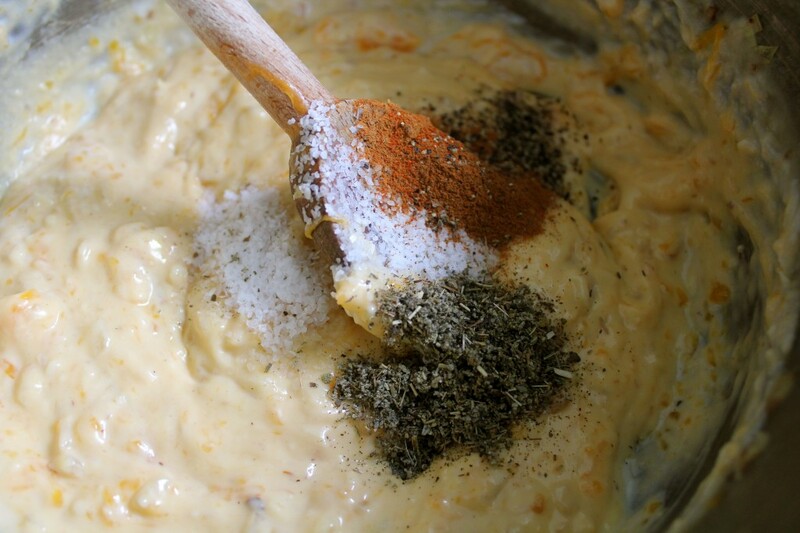 Congrats you just made a béchamel! Then add in the cheese- I highly recommend shredding it yourself as pre-shredded cheese has added crap in there that won’t make your sauce as creamy. 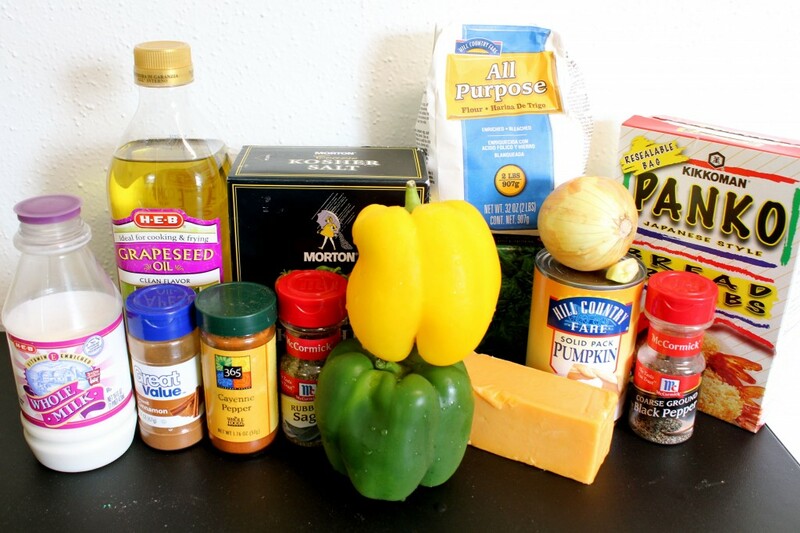 This sauce can also be used as the beginnings of mac n cheese. Ooh yeah. Add in seasonings- salt, pepper, sage, cinnamon and cayenne. 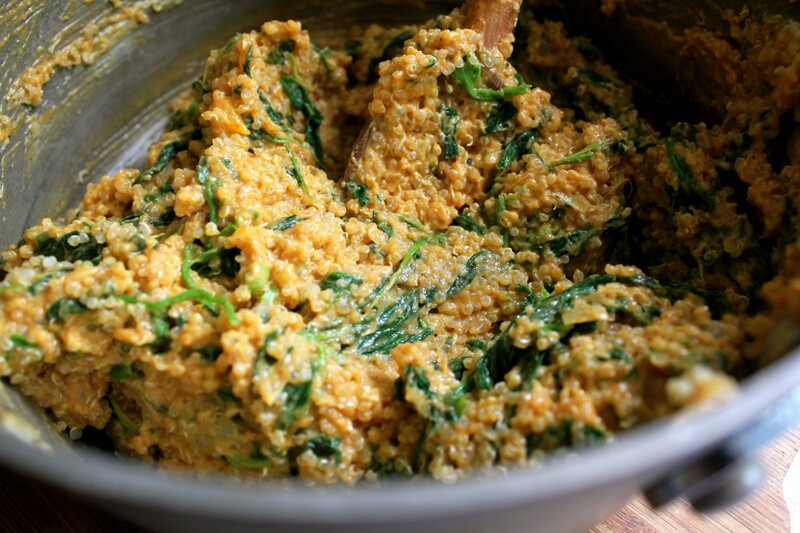 Then mix in the pumpkin, spinach and quinoa. I didn’t say this was the prettiest recipe out there. I’ll reserve that for this one. The fill four peppers. Top with Panko mixed with melted butter. Bake at 350 degrees F for an hour until peppers are soft and the breadcrumbs are browned. These are super cheesy and super filling and super awesome. You are super welcome. 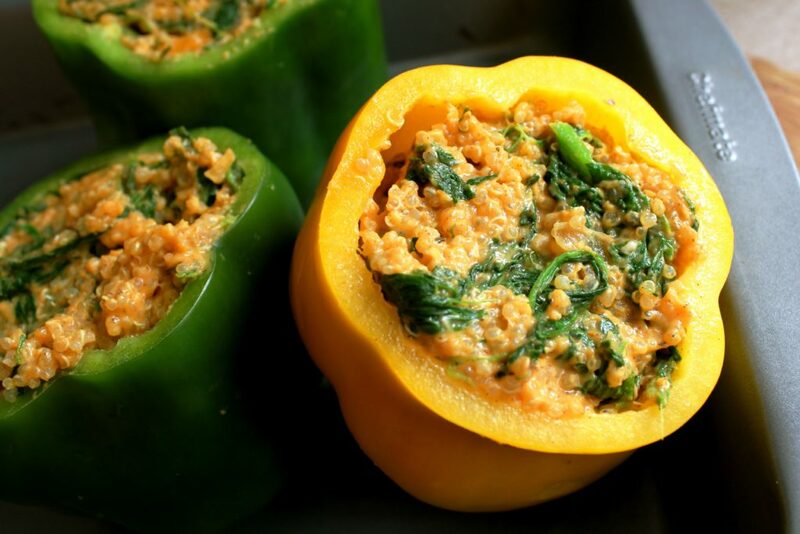 And much like other stuffed peppers, even better the next day. 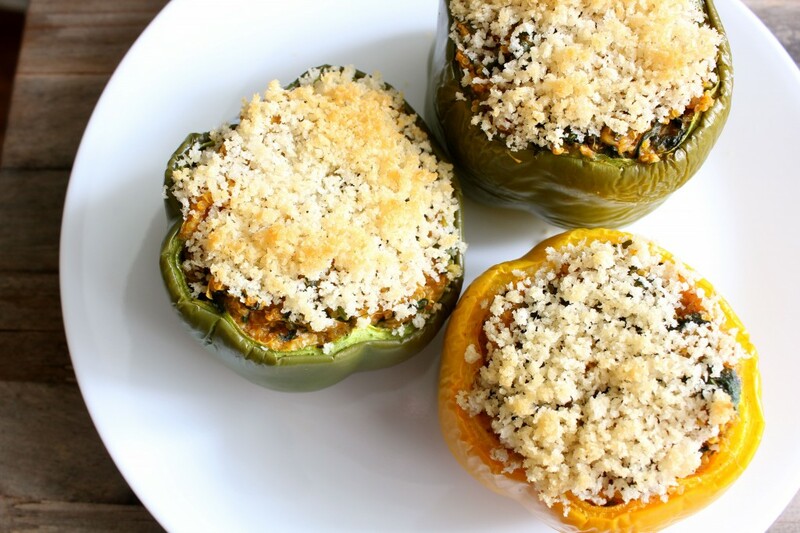 A cheesy stuffed pepper perfect for Sukkot! Heat up two tablespoons grapeseed oil (or substitute most other oils). 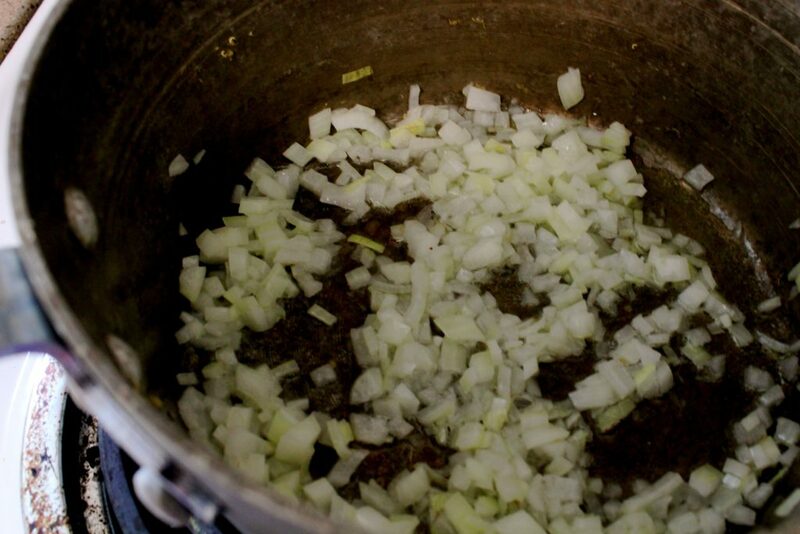 Saute onions over medium heat until they start to brown and then add in garlic for a second. The fill four peppers. Top with Panko mixed with melted butter. 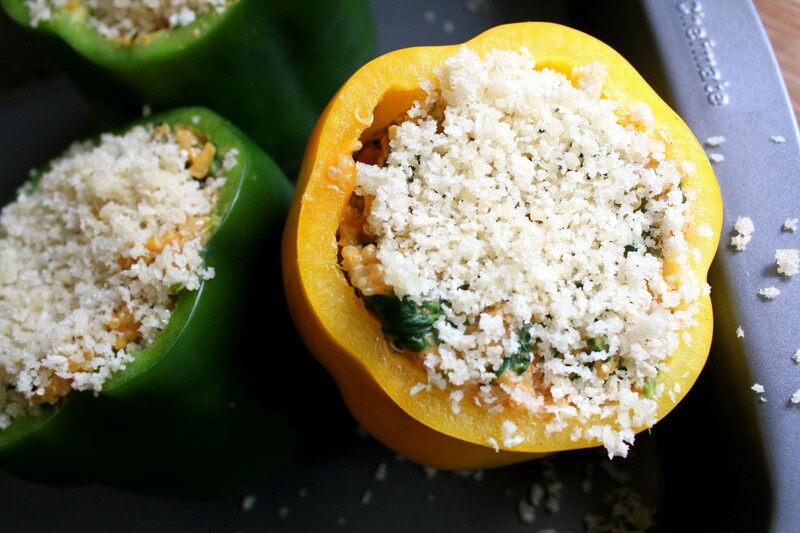 Bake for 1 hour until peppers are soft and breadcrumbs are brown. Yum!!! Just yum and definitely comfort food for a bubbe! What a great combo! Love the pumpkin — never would have thought of that. Oh my gosh. This looks AMAZING. I think this needs to go on our menu rotation ASAP!!! I’m going to look into this, Tara! You can hardly taste the pumpkin- it just adds creaminess! 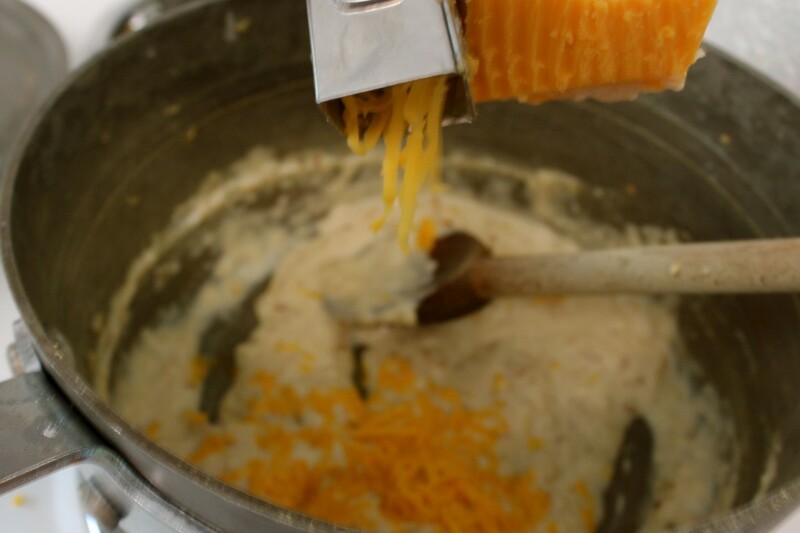 You can even add more cheese to make it richer! Jew are AWESOME! 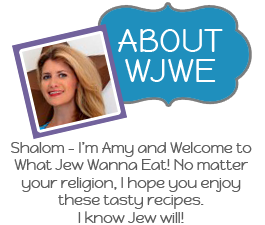 I love the way Jew think and the way Jew cook! I made Hearty Pumpkin Chili with Hominy yesterday, which is a recipe coming out in My H-E-B Texas Life for October. 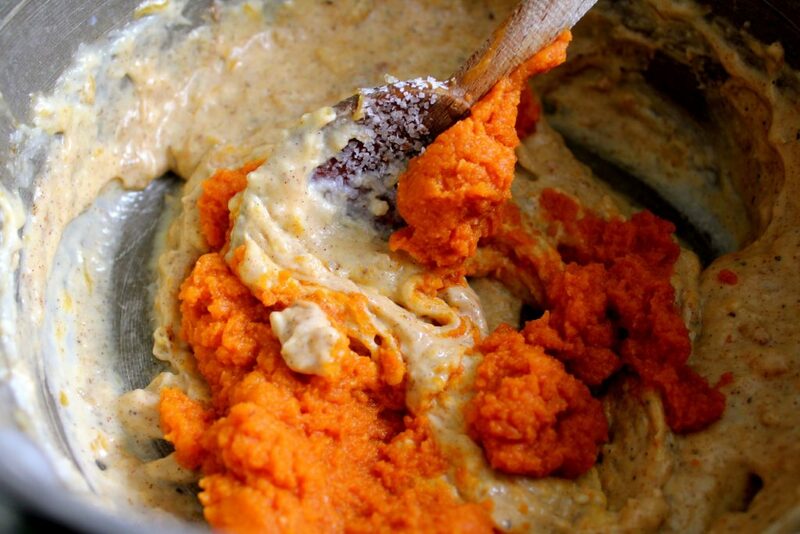 Same with it; it thickens the sauce, but you can barely taste the pumpkin. I tell people if they want more pumpkin-taste, add Apple Pie Spice. 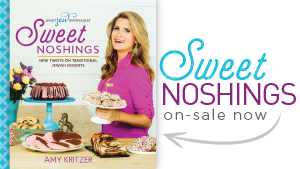 Look forward to reading many of more of your recipes! Thanks!! Yes I often add pumpkin to my chili too- it makes it super think! If I want to enhance the spice flavor, I add cinnamon, cloves, ginger, etc. Yum! Boone is an excellent sharer! Except when it comes to squeaky dog toys. Those are all his. I’m so impressed by these combinations!! looks so good. Just popped these in the oven – the filling is delish! Wowee zowee! I may have doubled-ish the cheese and pumped up the cayenne, but that’s just me 🙂 Oh and I had enough filling for 5 yummy peppers, yay! Woo hoo! The more cheese the merrier. Let me know how they turn out! They turned out so well I’m making another batch this weekend : ) Great recipe, Amy! Great news! Glad you like them! This looks amazing! I will definitely try it with locally grown kale and go full-on food trend. If only there were a way to work in chia seeds and photos of cute cats… Your blog might explode with trendy goodness 😉 Thanks for the recipe! HAHA that would be the most perfect blog post ever! Made these this weekend and they were amazing! My husband doesn’t usually like peppers, but he LOVED these! Thanks! Aw thanks, Deanna! They are one of my favorites too- glad they were a hit! Amy, these sound delicious! 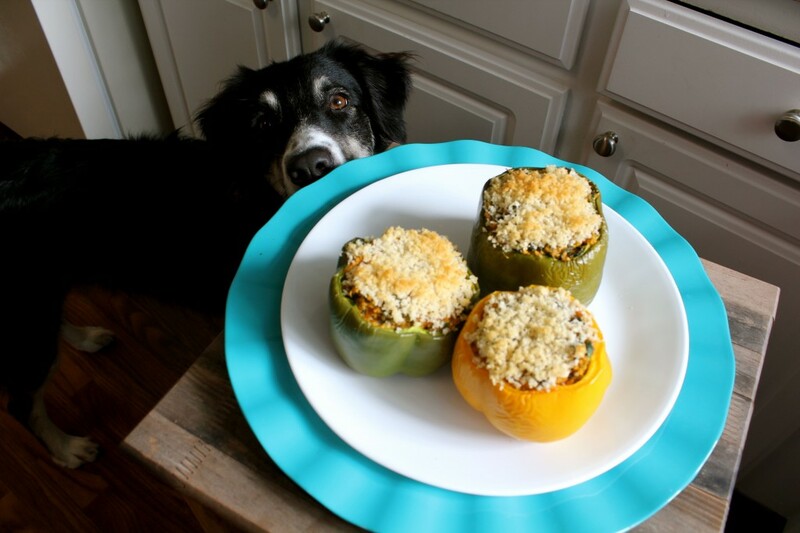 My family loves stuffed peppers, but I usually make them the same way all the time. I am really looking forward to trying this recipe! I love pumpkin! Thanks, Caroline! These are tasty and unique!